Fairfield, Conn. ­­– April 10, 2019 – The Intercollegiate Horse Shows Association (IHSA) held eight Zone Finals March 30-April 7. The eight Zone hunter seat competitions produced across the country were qualifying events for the 2019 IHSA National Championship to be showcased at the New York State Fair Expo Center in Syracuse, New York May 2-5. 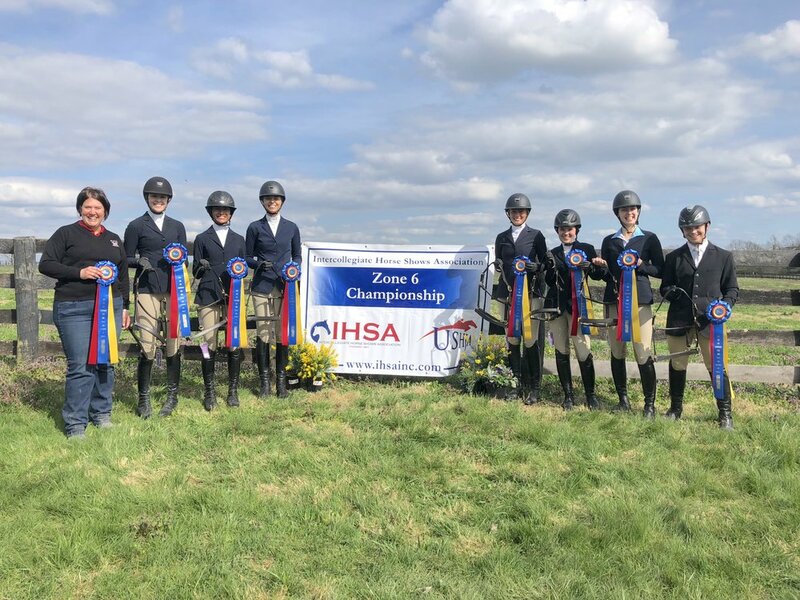 From each Zone Finals, the top two teams and the top two individual riders from each division all qualified to compete at the highlight of the IHSA season. Each Zone Final also held a qualifying class for the USEF/Cacchione Cup. The IHSA National Championship Show determines the team, individual and alumni champions in both hunter seat and Western. The event also features the coveted USEF/Cacchione Cup and the AQHA Western High Point Rider national final. "We are all looking forward to seeing new and familiar faces at a beautiful venue in Syracuse for Nationals," said Bob Cacchione, IHSA founder and executive director of the IHSA. The Intercollegiate Horse Shows Association (IHSA) welcomes men and women of all riding levels and offers individual and team competition in hunter seat equitation, Western horsemanship and reining at more than 400 member colleges and universities. Membership in IHSA means that college students can participate in horse shows regardless of their experience or financial status. Students compete at eight levels from beginner through advanced with suitable, provided horses, eliminating the expense of horse ownership. Founded in 1967 by Bob Cacchione, it is the oldest and largest intercollegiate equestrian organization with 10,000 members in 47 states and Canada. IHSA college and university team participation is represented through a variety of programs including varsity athletics, academic departments and club sports. IHSA offers valuable hands-on experience and professional development in multiple facets of the equine industry. Many IHSA teams participate in service projects, giving back to their communities. Through the IHSA, students enhance their college experience and develop the tools that help build successful careers. For more information go to IHSAinc.com or contact media@IHSAinc.com.